DMK Alkaline Wash is a formulation unique to the Danne Montague King Pharmacopeia. This Alkalising formulation, once blended and applied to the skin as part of the DMK Alkaline Wash Procedure, changes the skin from a PH of about 4.5-6.8 to a pH of 12. When we change the skin to a pH of 12, we place the skin into an alkaline state, therefore dissolving and softening the skin and hair. The alkalising benefits provide you with a light, gentle to full resurfacing facial option for excessively sun damaged, prematurely aged or acne patients. Alkalizing Wash, used as an overall skin wash, may provide a safe and effective hair removal and retardation option to waxing, depilatory creams, IPL or laser. You can incorporate the alkaline wash with electrolysis or combine with IPL or laser for faster reduction in hair growth. We highly recommend this for PCOS and hirsute patients. Alkaline resurfacing improves the colour and texture of the skin. Alkalising is safe for use on hyper pigmented areas like the underarms. Not only will it weaken hair growth but it improves the colour of the pigmentation in the affected area. It reduces hair growth and kills bacteria. Alkalising will effectively reduce problematic ingrown hair. In regards to an alternative to waxing, it’s pain-free. Alkalising is a brilliant procedure to help improve and control papular and pustule Rosacea flare ups. For overall skin health rejuvenation in conjunction with a prescribed DMK Skincare regime, DMK Alkaline procedure will help with pigmentation concerns, fine lines, wrinkles, acne, adult acne and scarring (surgical and otherwise). Alkaline Wash works extremely well as a treatment for cracked, dry, thick callous, making it an incredible advanced Medi Pedicure procedure named DMK MediPedi. Brazilian is not recommended because there’s a lot of mucous membranes around that area that can be irritated. We will provide you with aftercare information upon your first consultation with us and again post treatment. Every case will be unique to each person. ● Some dryness and crusting in the treated area. This may appear within 3 days post treatment, which is perfectly normal. ● Excess oiliness and feel quite dry. This may last for up to 10 days. ● Redness, heat and tightness. This may follow the treatment for up to 10 days. ● As the hair grows back to the treated areas it might initially feel stubbly. We recommend incorporating DMK Alkalising procedures with DMK Enzyme Therapy for best results, faster recovery and skin health support. Speak to our skin practitioners today! 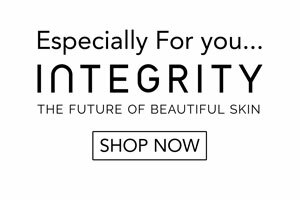 We love helping you achieve your skin goals!